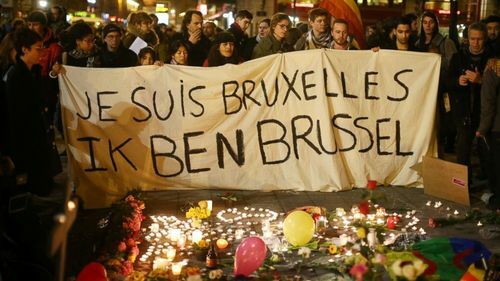 Belgian police officials released more information on the two brothers involved in the Brussels terror attacks. 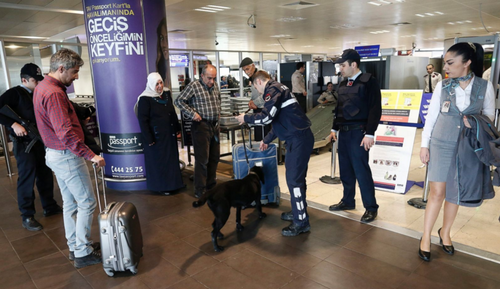 In October 2010, Ibrahim El Bakraoui, one of the two suspected suicide bombers at the airport attack, was sentenced to nine years in jail for a robbery in January of that year, in which he opened fire with a Kalashnikov rifle during a police chase. He was released in 2013. Police found multiple Kalashnikovs rifles during a search of the home of his brother, Khalid El Bakraoui, who is believed to be the suicide bomber who detonated an explosive in the metro car. 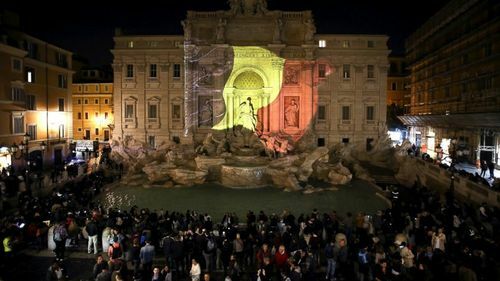 An INTERPOL Red Notice on Khalid says he was wanted by the Belgian authorities for charges of “terrorism.” It is unclear when the INTERPOL notice was posted and there does not appear to be one for his brother. 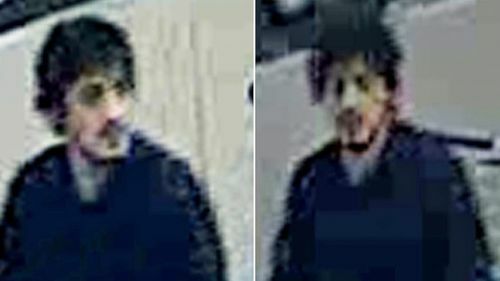 Belgian authorities believe they have identified the third suicide bomber in the Brussels attack as Najim Laachraoui, a 24-year-old who has been sought by police since the Paris attacks in November, three Belgian law enforcement officials told ABC News. 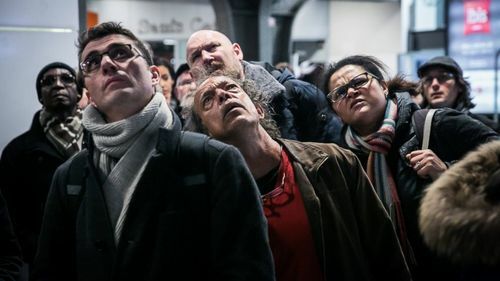 The officials said that evidence indicates Laachraoui is the man in dark clothes on the left in a surveillance photo from the Brussels airport showing three of the four alleged Brussels attackers. 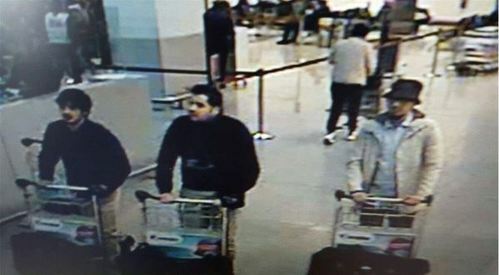 The man in the middle, identified earlier today as 29-year-old Ibrahim El-Bakraoui, was also a suicide bomber. 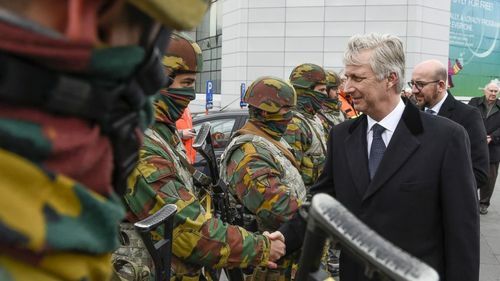 The man on the right, in the lighter clothes, has yet to be identified and is still on the run, Belgian officials said. 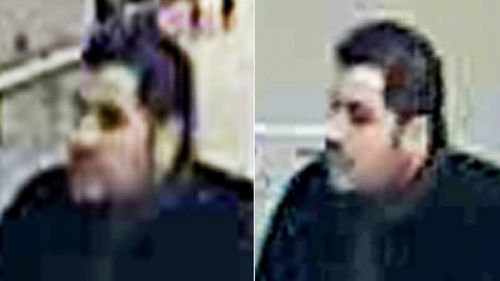 A wanted posted featuring Laachraoui and posted online shortly after the Paris attacks says that Laarchraoui’s DNA was found in a rented house in a Brussels suburb and an apartment in central Brussels’ Schaerbeek neighborhood – locations a Belgian prosecutor said Monday “was used by the terrorist group” in the Paris attacks. 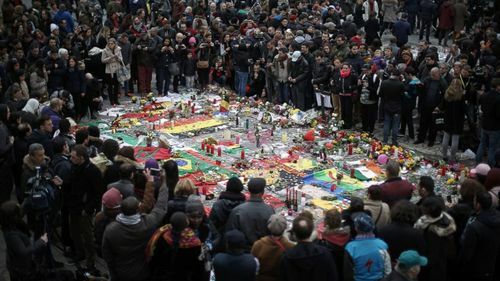 International media reports said that Laarchraoui’s DNA was also found on two of the suicide belts used in the November Paris attacks. Officials told ABC News he is suspected of being the terror cell’s bombmaker. 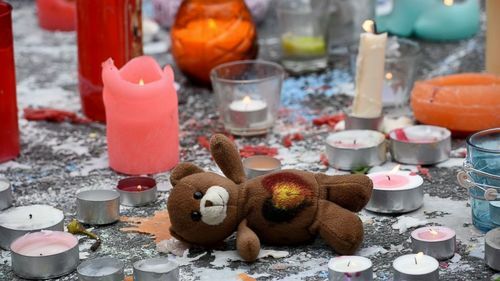 Authorities said Laachraoui had left for Syria in 2013 and in September 2015, two months before the Paris attacks, an individual using one of Laarchraoui’s aliases was spotted in a car with Paris attacks suspect Salah Abdeslam on the border between Hungary and Austria. Abdeslam was arrested in Belgium Friday. 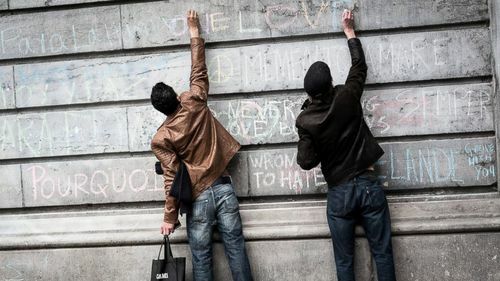 A makeshift memorial at the Place de la Bourse in Brussels is seen in a 360-degree view filled with hundreds of people who gathered to pay tribute to the victims of the terror attacks. Experience the Place de la Bourse by clicking here. 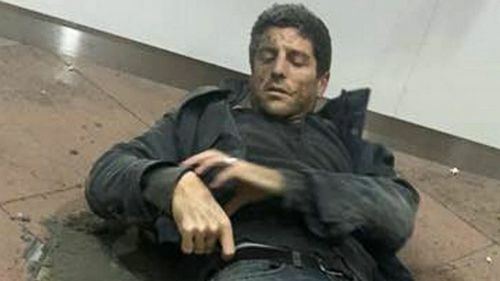 David Muir is anchoring "World News Tonight" live from Brussels with the latest on the terror attacks starting at 6:30 p.m. EST. 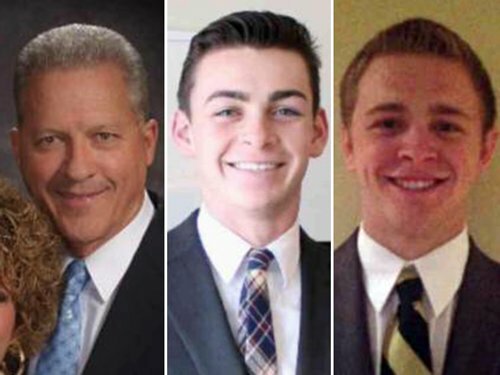 Watch the broadcast by clicking here. Despite the rain, candles continue to flicker at an ever-growing makeshift memorial honoring the victims of the terror attacks. 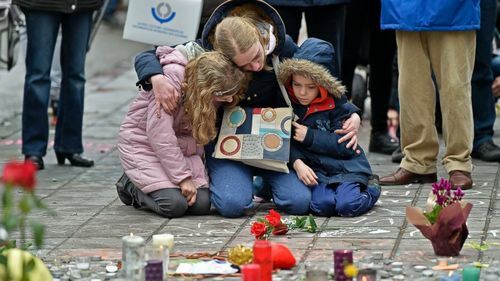 The Brussels bombers may have targeted Americans, chairman of the House Intelligence Committee, Rep. Devin Nunes, R-California, told reporters on Capitol Hill Wednesday. “From my vantage point it does look like an attack on Americans," Nunes said. 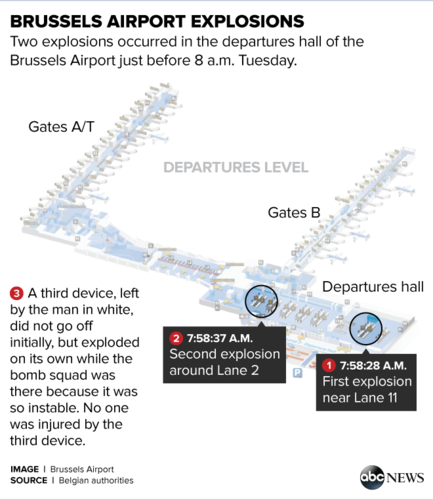 To support his claim, Nunes said the location of the explosions at the airport were next to the check-in counters for U.S. airlines United, Delta and American. He also said the metro bombing occurred right by the U.S. Embassy. On Tuesday, Rep. Eric Swalwell, D-California, a member of the House Homeland Security Committee, also said he believed the attackers targeted Americans. 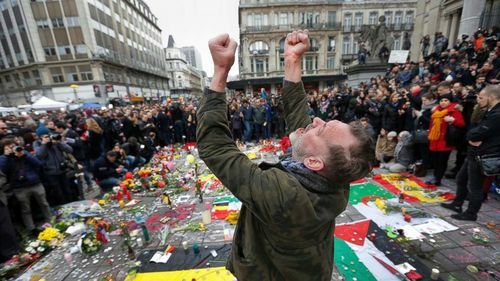 Europe remains on high alert following a series of explosions in Brussels that killed 31 and injured at least 270. 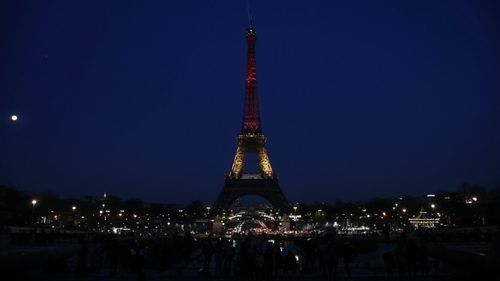 Click here to view a slideshow of security efforts throughout Europe in response to the terror attacks.